The National Panasonic DR22 (RF-2200BS) is the European version of the National / Panasonic RF-2200. Unlike the RF-2200, the DR22 features a selectable 110/220 V AC voltage input switch on the rear panel and the display is slightly different. But, I can not be able to tune the short waves except the FM. 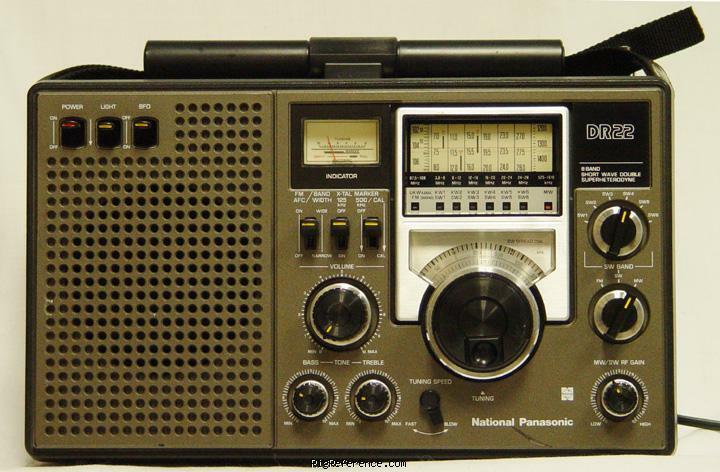 There is no any sound or hushing when it is on the short wave mode. I do not know what I have missed. Could you please tell me how to tune in medium and short waves. Otherwise its sound in FM is marvelous. Estimating the value of a rig can be challenging. We collect prices paid by real hams over the years to help you estimate the current value of the National / Panasonic DR-22. Just bought or sold this model? Let us know what you traded it for and help other ham operators!